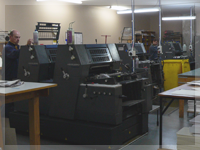 Tadpac Print runs three core businesses that include Commercial Printing, Mailhouse and the Manufacturing of Handmade Paper. 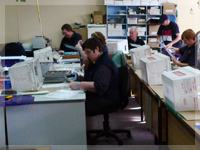 The Printing Business in conjunction with our Mailhouse can produce colour brochures or flyers together with a personalised letter, plastic wrap them or insert them into an envelope, label, sort and deliver to Australia Post receiving the best delivery and postage rates for our customers. Tadpac Print also manufactures environmentally friendly Handmade Paper, utilising the paper wastage from our printing processes. 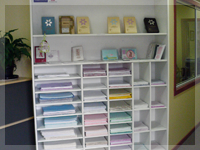 Handmade Paper comes in a variety of flecks and colours, with or without a bevelled edge. Tadpac also carries a natural range using recycled fruit and plant pulps giving the paper different textures.
" Growing our business by providing a good service "